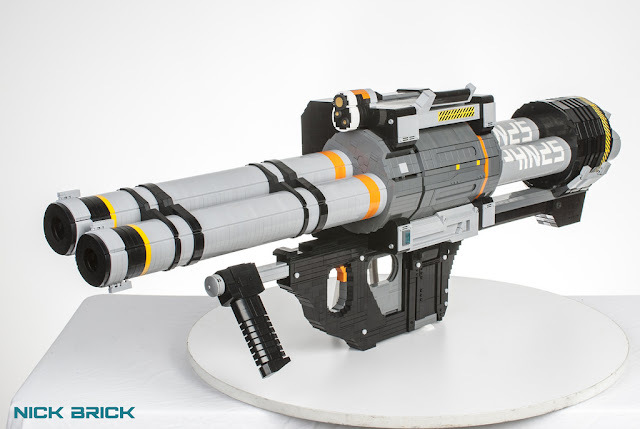 Famous sci-fi weapon replica builder and flickr.com user Nick Brick did it again. This amazingly shaped, life-size replica of a SPNKr Rocket Launcher from Halo 5 game was recently shared in his photo-stream. This huge creation is inredible by all means. The builder also shared a photo while he is aiming with the weapon.